A good webcam is very important for webcam models. It’s one of the biggest things effecting the quality of your shows. Most aftermarket webcams also have built in microphones, that are much better than a stock microphone on a webcam. Great 3rd party webcams can be purchased relatively inexpensively. Here are the best webcams for adult camming models. The Logitech brand is one of the most reputable and trustworthy around. 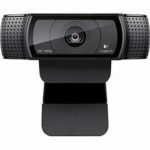 Logitech has been a leader in the webcam market for ever. They also produce keyboards, mouses and other electronic products. Logitech webcams are quality products and are also incredibly affordable. Most the products come with great built in microphones as well. Here are the most popular Logitech webcams. The most popular webcam for camming models. The Logitech C920 is very affordable, shoots in 1080 and has a great built-in microphone. You can find C920’s for around $70. 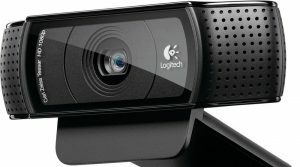 According to Logitech, it’s currently their most advanced webcam available. The Logitech C930e was designed for for business video conferencing, opposed to the C920 which was designed for personal use. The C922x is a newer product, developed for video game streamers. Designed to take less bandwith uploading which results in a smother feed. Logitech collaborating with Xplit, a popular cam-splitting software, on the development of the C922. More expensive, but comes with a handy remote control. The remote control is useful for pivoting and tilting. There are mixed reviews on the logitech BCC, and it seems like a webcam that you either hate or love. A lot of models like it for the pivoting and zooming, while others feel the motions are choppy. Also more expensive than the more popular models. There’s also tons of accessories available for the different webcams. 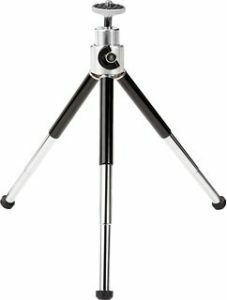 These accessories include tripods, extended USB cords and more. What is available and compatible varies from webcam to webcam. Although none of these are a requirement for camming, anything you can do to make your life easier and improve the quality of the shots is definitely worthwhile. It’s also possible to use a DSLR camera for camming. This provides better clarity and quality than webcams, but it does take more time to setup and they’re much more stationary. 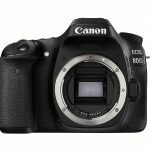 There’s also special software required in order to cam using a DSLR. In addition to camming, DSLR cameras can also be used for producing clips as well. It Is Alright To Use A Built-In Webcam? Yes and no. Technically you can use a built-in laptop webcam, but it’s not recommended. The quality on most stock webcams is horrible. There microphone usually isn’t that great either. This creates a poor feed. You’ll get more chatroom visitors who will stay longer and tip more if you’ve got a high quality webcam. Some sites will also rank performers with HD webcams higher and display an HD tag on the profile. So although you can get started using nothing but a stock laptop webcam, it’s not highly recommended. If you do go this route, definitely toss an HD webcam on your wishlist or upgrade as soon as you’re able to. You’ll make more money that way. If you’re interested in seeing what the next generation of webcams looks like, check out the Terpon VR Webcams. They haven’t hit market yet, but the technology is developed and they’ve been showing the webcams off at adult industry events such as AVN and XBIZ. There is no set date for when the webcams are going to hit market, although it should be fast approaching. The webcams are going to be leased with no available to purchase, although the monthly rates are very reasonable. Are you researching what it takes to get started as a camming model? We’ve got a guide that tells you everything you need to know. Our guide goes over all the different topics one by one. There’s also links to additional in-depth reading on all the various topics. Learn everything you need to know to get started as a performer in the adult industry.